JAMMU, DECEMBER 04: In the Phase-VII of Panchayat Polls held today, overall poll percentage of 75.3% was witnessed across the State. According to the Chief Electoral Officer J&K, Shaleen Kabra, a massive 84.8% polling was witnessed in Jammu division and 30.3% in Kashmir division. 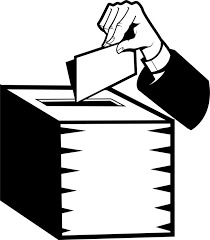 Giving district-wise details, Kabra said that Bandipora witnessed 25.2% polling today, Kupwara 45%, Baramulla 17.8%, Ganderbal 30.9%, Budgam 13.1%, Anantnag 15.5%, Ramban 83%, Reasi 86.7%, Samba 85.5%, Jammu 83.7%, Rajouri 84% and Poonch 86.6%. Kabra said in the Phase-I of Panchayat Polls held on 17 November 2018, 74.1% polling was recorded across J&K including 64.5% in Kashmir division and 79.4% in Jammu division.